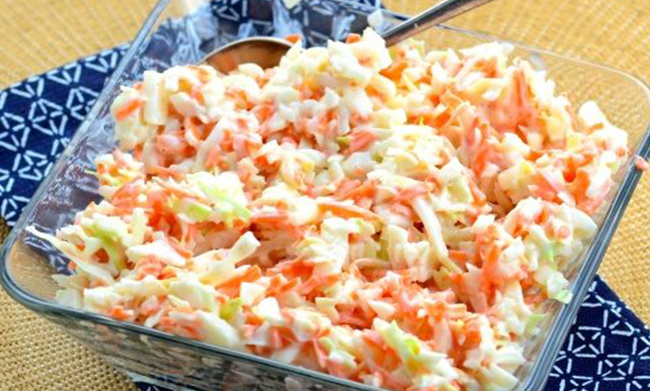 Cabbage and carrots must be finely diced. (I use fine shredder disc on food processor) . Pour cabbage and carrot mixture into large bowl and stir in minced onions. Using regular blade on food processor process remaining ingredients until smooth. Pour over vegetable mixture and mix thoroughly. Cover bowl and refrigerate several hours or overnight before serving.